Are you working on risky projects? Do you want to save your projects from harmful effects of financial, social, cultural, environmental and other related risks? Do you want to generate extra revenues through your project? If your answer is yes then you must perform risk management. In this current scenario, due to poor economic conditions and tough competitions, organizations have to face various risks at a time. Although, the extent of these risks may vary but risks in general affect the productivity of your project. Risk management is the only way to remain safe from adverse effects of project risks. Let me define risk before moving on to the art of risk management. Risk is any unwanted event or situation that can lead to the failure of your project. There are different types of risks such as social, political, cultural etc. Most of the risks can be controlled by doing risk management. Risk management is basically an approach in which we explore identify, analyze and mitigate the risks that can affect our project. Risk management is an important part of project management which if done efficiently leads to the success of your project. 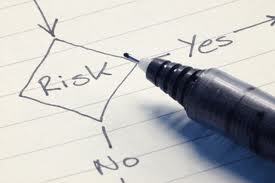 Risk management is an action plan that consists of various steps which are done to ensure the removal of risk. If you are dealing with uncontrollable risk then you may set such an action plan that can minimize the effect of these risks as you cannot fully get rid of such risks. Risk management is done by risk managers who are well aware of all the risks associated with any particular business or project and different ways to mitigate them. As this is the age of multitasking so, various organizations also expect project managers to be risk managers as well. 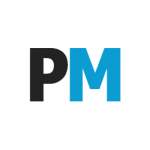 In fact, large numbers of project management institutions are offering risk management courses for the project managers. The courses not only help you to know the types and nature of project risks but also various techniques used to deal with these risks. The risk mitigation technique to be used depends on nature of project risk faced by your team so you must be very careful in developing an action plan for fighting against risks. Risk management is an essence of project management. It increases the chances of your success up to a great extent. Following are some of the benefits of developing and implementing an efficient risk management plan while working on any project. If you have not yet introduced a risk management plan for your project then I suggest you to do it as soon as possible as it do not take much time for risks to become disasters. Mehwish Majeed is an enthusiastic youngster, a business graduate and a well-known article writer. She has written a large number of articles for various blogs. She uses simple language to explain even the complex issues. Article writing is her passion. thank you, very helpful information.